North Wales police boss says new chief constable will need to share his vision | News by Wales Express News, People Before Profit! A police boss says the appointment of a new chief constable for North Wales will be the biggest and most important decision he makes. 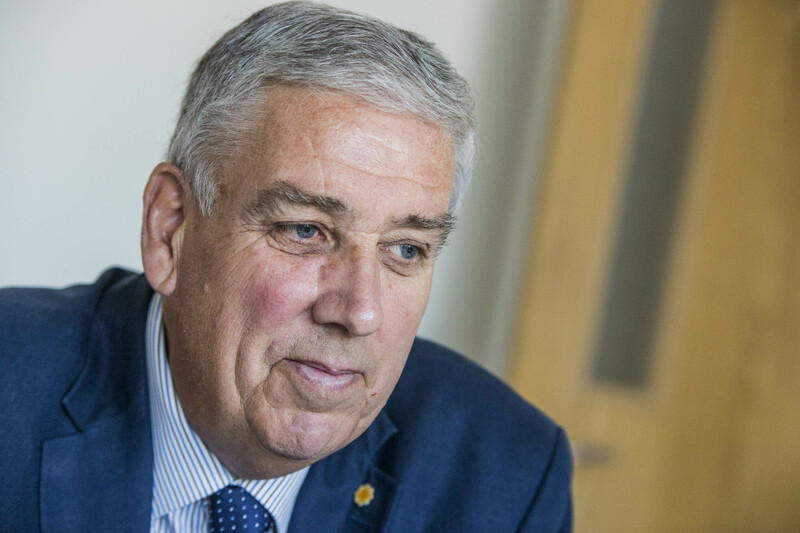 North Wales Police and Crime Commissioner Arfon Jones has set the wheels in motion to find a successor to Mark Polin who retires at the end of July and will be taking over as chair of the Betsi Cadwaladr University Health Board. According to Mr Jones, the successful candidate will need to share his vision and have the ability to think outside the box. He revealed the advert will be going out soon and that he would be following the criteria set by the College of Policing to ensure the job specification includes all the necessary skills and requirements. In making the decision, he will be receiving specialist advice from a panel of five or six people. Among his advisers will be the current Chief Constable. The appointment will then go to the North Wales Police and Crime Panel for their consideration. Mr Jones said: “The entire process will therefore be objective, transparent, and accord with national guidance and good practice. “We set the budget every year but the budget is only as good as the person you have to implement how the money is spent. “Mark Polin’s successor will inherit a force that is in a strong position in a variety of different respects and has a cohesive and effective leadership team, including Gareth Pritchard who will become the Temporary Chief Constable in the interim and Richard Debicki who will be the Temporary Deputy Chief Constable. “I am looking for a new chief constable who has a similar vision to mine and the ability to think outside the box. “My objectives have been developed in response to the areas of greatest threat, risk and harm facing the communities of North Wales. “With that in mind, my five priorities are tackling domestic abuse, modern slavery, organised crime and sexual abuse as well as delivering safer neighbourhoods. “Protecting and looking after the needs of the most vulnerable people in society is at the heart of my Police and Crime Plan. “It’s very doubtful whether resources are going to increase significantly so it is imperative we look at ways of reducing demand. “One of the ways I see as reducing demand is looking at diversionary schemes to keep people out of the criminal justice system wherever that is possible and appropriate. “There are examples of how we might look at adopting an alternative approach, like the Drug Education Programme in Bristol which offers awareness courses in place of prosecution for people caught with drugs. “Meanwhile, the force in the Durham area has established a programme called Checkpoint which looks at the reasons why people are offending in the first place. “In many cases they are also victims and I am not sure that the criminal justice system is the best way to deal with people who offend who are also victims. Many of them are women, the majority of whom are survivors of domestic abuse. “We know the number of children who are taken into care is very high, far too high, and a lot of that is down to the behaviour of parents who have these problems. “The way forward is to look at early intervention to reduce demand by looking at the underlying causes of the offending which may be mental health, substance abuse and domestic violence. Crime is often a symptom of these problems. “At the moment the criminal justice system is on occasion perpetuating the revolving door of repeat offending which sees far too many people caught up in a futile, vicious circle which benefits nobody. “Why are we spending precious police resources on pursuing and prosecuting people if they are not causing harm to anybody else? “Such an approach defies logic at a time when we have been hit by severe budget cuts and are having to deal with a host of new and emerging crime types. “I would rather focus our efforts on those who produce and supply these illegal substances, by targeting the drug barons who inhabit the sordid and dangerous world of serious and organised crime. “One area on which the new chief constable will have to focus is the emerging threat of ‘County Lines’ where criminal gangs from places like Liverpool and Manchester seek new territories for their drug dealing networks. “They exploit children and young people by coercing them into running Class A drugs, cash or weapons, not just here in North Wales but across the UK. Getting to grips with this growing menace is one of my top priorities. “The secret to being a successful chief constable in the current climate is the ability to adapt and work more smartly in innovative ways to reduce demand, working with our partners to address the underlying causes of crime rather than the symptoms which we have been doing for time immemorial. “The successful candidate will therefore need a range of professional and personal qualities. They will need to be dynamic and have a can-do attitude as most chief constables have, as well as a good understanding of strategic policing and the national context. “You can’t just focus on North Wales because crime crosses borders and the new chief constable will have to get on well with their colleagues across the UK, and particularly with those in Wales and the North West . “It is a big and important job and I am looking for somebody who is able to implement the priorities as set out in my Police and Crime Plan.